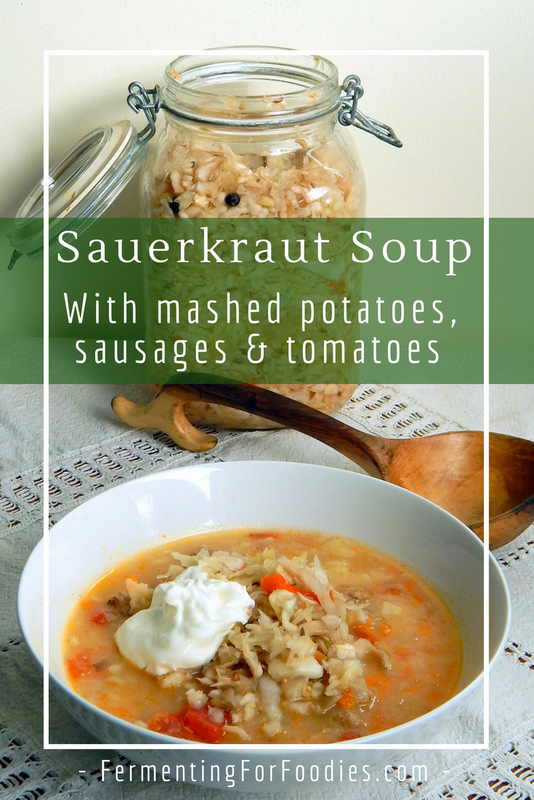 Sauerkraut soup is a blend of a creamy mashed potato and tomato soup base (common in Doukhobor soups) and a German-style sausage soup. 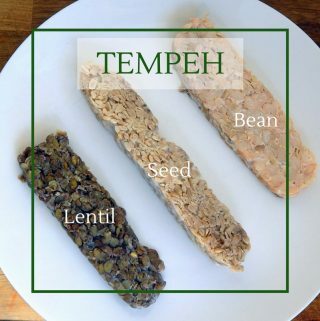 It’s a really hearty and delicious soup that is a favourite with pretty much everyone. 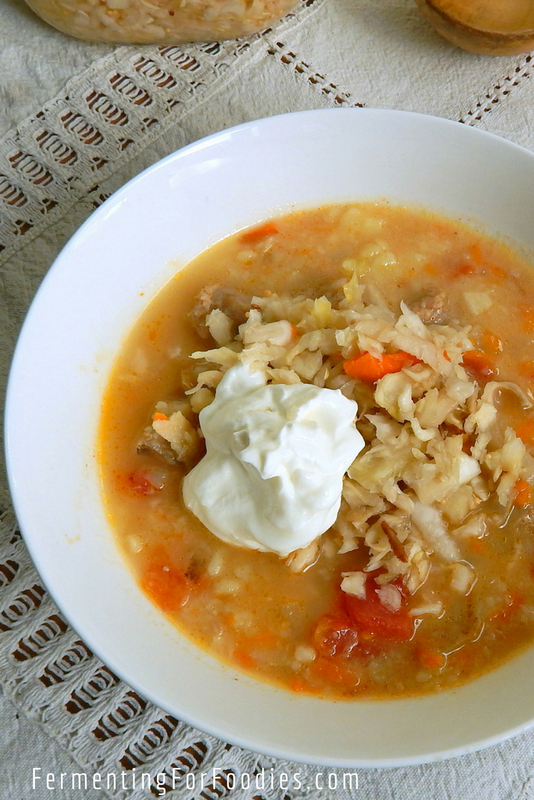 Sauerkraut soup is a great way to feature homemade fermented foods! 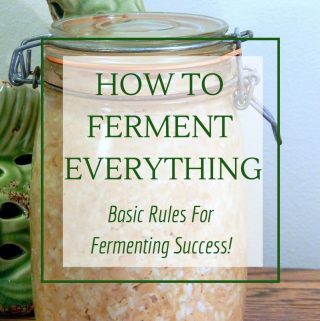 , I recommend using a fermented sauerkraut rather than a vinegar-based one. The flavour is just better for this soup. Sour Cream: Homemade sour cream is surprisingly easy to make. Why not try it? Rye Bread: I love a well-fermented sourdough bread. 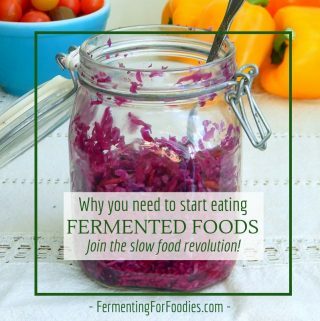 I am a fermentation foodie, after all! Saute onion, garlic, carrots and sausage in oil until the sausage starts browning. Pour in broth, chopped tomatoes and spices. Add in the potatoes (whole or sliced in half for really large potatoes) and bring to a boil. Simmer until the potatoes are soft (about 20 min). Remove potatoes with a slotted spoon and mash with the milk. Stir the potatoes back to the soup and salt to taste. Top with a dollop of sour cream and sauerkraut. -Though German sausage would be ideal for this recipe, kielbasa work work as well. My wife and I are having the worst cold today, this really made our day so much easier! 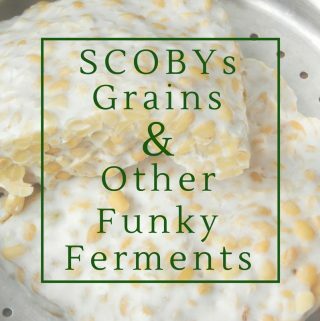 So incredibly tasty, thanks for sharing! Thank you so much! It’s one of my favourite soups. I love your recipes! I am making this one today. Does freezing the leftovers effect the probiotics? It shouldn’t. But reheating would likely kill it. Maybe just freeze before adding the sauerkraut, then add the kraut to each individual bowl.